Relaxed traditional design. Antique gray color finish on birch veneers and hardwood solids. Inset drawers with dovetail construction and metal center guides. 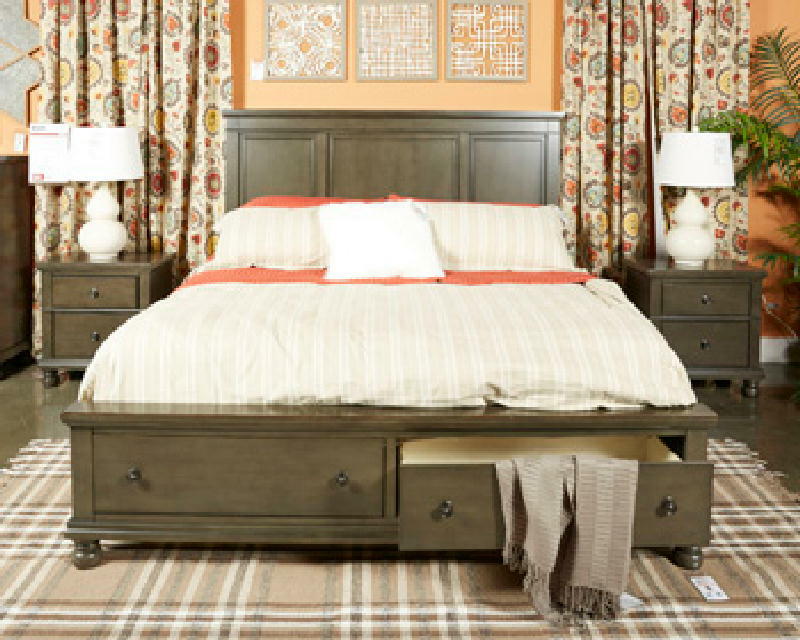 Tall panel headboard paired with a two drawer storage footboard. Turned solid wood bun feet.